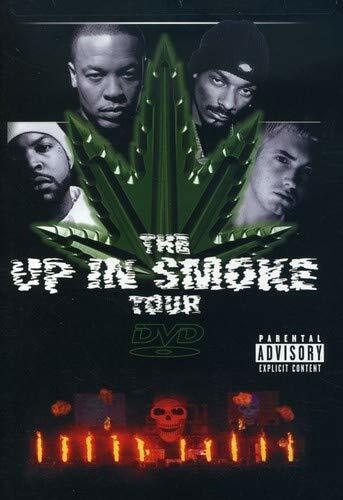 Detailing all aspects of the hip-hop extravaganza that was the "Up In Smoke" tour, this video contains live footage of some of the biggest names in rap. Featuring performances by Dre proteges Eminem and Snoop Doggy Dogg as well as Ice Cube, Dre himself, and several others, UP IN SMOKE serves as a comprehensive survey of the state of hip hop at the turn of the 20th century. The spectacular live show was shot on 35 mm film, while the behind-the-scenes footage was filmed on 16 mm. Home video camera clips of tour bus and backstage action add a candid and personal feel to the spectacle. 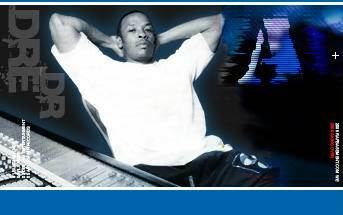 Dr Dre, Snoop Dogg, Eminem, Ice Cube, Xzibit, Kurrupt, Daz Dillinger, Mack 10, Warren G, Nate Dogg, M.C. Ren, T.Q., D-12, West Side Connection, & More! 8/20 -- Englewood, CO @ Fiddler's Green Amph. 8/21 -- Englewood, CO @ Fiddler's Green Amph.